I am using PSS/E 34 and I have scripts that worked well in version 33. When I use the same script on my cases in version 34 I get the error: "No module named ppspy". I later noticed that this module and the associated drivers were absent in the bin folder. I have reinstalled the application but the problem still persists. There is no information in the documentation that mentions any change in module name or setup. Is there anything I'm missing or this could be a vendor problem? The problem is due to that psspy.pyc is no longer in the same folder as the psse.exe, which is case for older versions. To import the psspy module of PSSE Xplore 34, you should specify the two paths separately for sys.path and os.environ['PATH']. The following codes work if you installed your PSSE Xplore 34 in the default folder. Thank you very much for your kind help in this matter, really appreciate as I was facing same problem. Your reputation indeed does precede you jconto! Thank you so much. It worked perfectly for me. The help provide by jconto is extremely useful, thanks to save us always. Here is my answer. I modified some different things I found and came up with this. You cannot execute psse34 because that is not the software package available with PSSExplore34. This code is located in the a folder titled "C:\IEEE39". I then moved the pssexplore34.py file to the "C:\IEEE39" folder and commented out the portion of the code that was problematic. I am not sure if this is fool proof, but I am no longer getting the error. This helped me a lot, commenting that last line in pssexplore34.py was key. 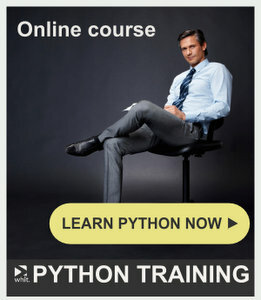 I am trying to learn PSSE and python. Could you please give me the full code to import psspy. I am using PSSE Xplore 34 version. I am not familiar wth the Xplore 34 version, but I will assume you can still use python and psspy. Check in the "example" folder for *.py files, edit them and run them. See how ppspy is being called. You can always send a message to PTI customer support.